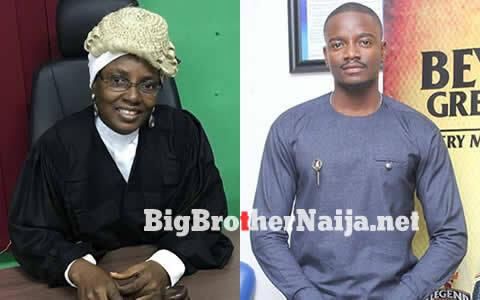 Former Big Brother Naija 2018 housemate Leo Babarinde Dasilva’s mother has died. Sad news coming in indicate that Leo who was evicted from the Big Brother Naija house on Sunday last week ‘Day 42 of the game’ lost his dear mother Alhaja RMO Sanni today and since she’s a muslim, she has also been buried today. Leo has described today as the worst of his life. Leo took to his official Instagram page where he posted a picture of his late mother which he captioned with the below text. We here at www.BigBrotherNaija.net send our condolences to Leo Babarinde Dasilva and his entire family. Rest in Peace Alhaja RMO Sanni. Wow this is really sad, you know God works is mysteries ways indeed, Leo was evicted from the house just to see his mother before She leaves. May you be blessed Leo not everyone got the chance to say goodbye to their loved ones, but you did, you should be forever grateful for this. Be strong, our prayers are with you and your family. shame this is sad..he really loved his MOM..may she rest in peace!